The Aalto Model 64 kitchen/bar stool was first designed by Alvar Aalto in 1933. 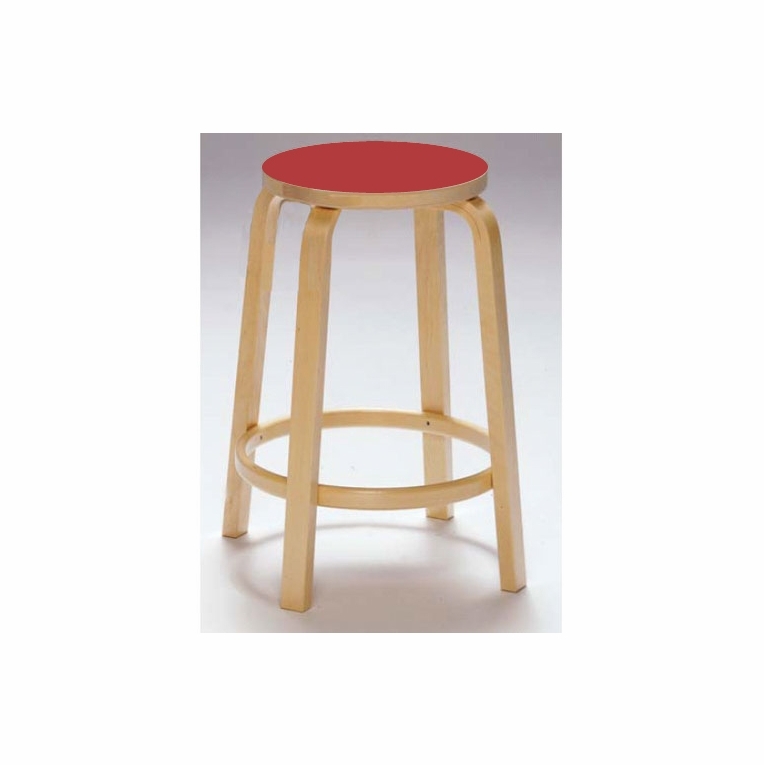 Taller in stature, this stool feature a natural birch frame accented by a colorful red linoleum seat surface. Perfect for high top tables and bars counters the stool also features a sturdy birch rail footrest for added comfort. Available in a variety of colors, own one or several of these time-tested stools. Made in Finland by Artek. Ships unassembled.Please review our Shipping Information page before ordering. Payment: 50% will be charged at time of order, remainder will be charged at time of shipment.